This has the fragrance of a Luxury Spa but the price tag of a Groupon getaway special! I love the clean, citrus fragrance and that the body wash is moisturising. So many of these body washes strip the skin of its natural oils and leave your skin tighter than the Bride of Wildensteins. True dat ….. I am not normally keen on those bursting bubbles as other products I have tried with similar ‘nano-technology’ leave you covered in little coloured beads that don’t burst and make you feel all warty and horrid – but these do burst as you rub the wash into your skin. 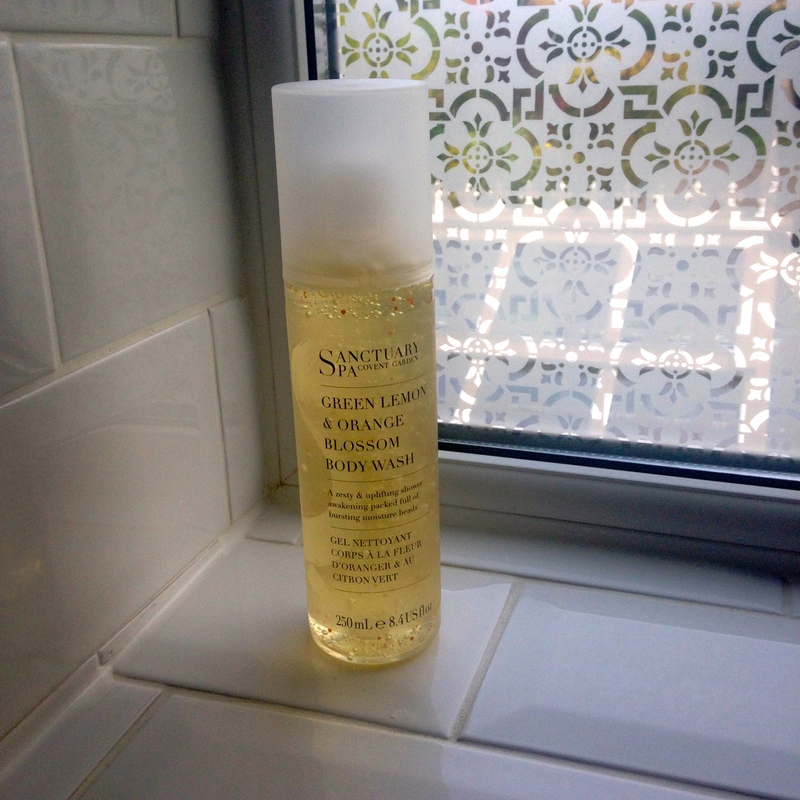 The body wash has a thick consistency which means you don’t tip half of it down the drain and quite often Sanctuary Spa products are available on 3 for 2 at Boots, so great value for money. I like that the fragrance smells natural and not cloying or synthetically sweet, so even suitable for Mr H, perfect as an everyday shower gel or in the bath. There is also a body lotion which I am yet to try but I really like to ‘layer’ fragranced products to get long-lasting scent so will definitely try both products together … my only criticism is Why are the products made in Thailand? There are plenty of personal care manufacturers in the UK and Europe, the carbon footprint for shipping product all the way from Thailand seems crazy!